One fashion item that seems to never go out of style is the pashmina scarf. It’s the perfect way to update any outfit or bring life to an otherwise drab jacket or coat. Not only can a pashmina pick up your wardrobe, but it can also be worn in so many different ways it becomes anything from a belt to a simple top. 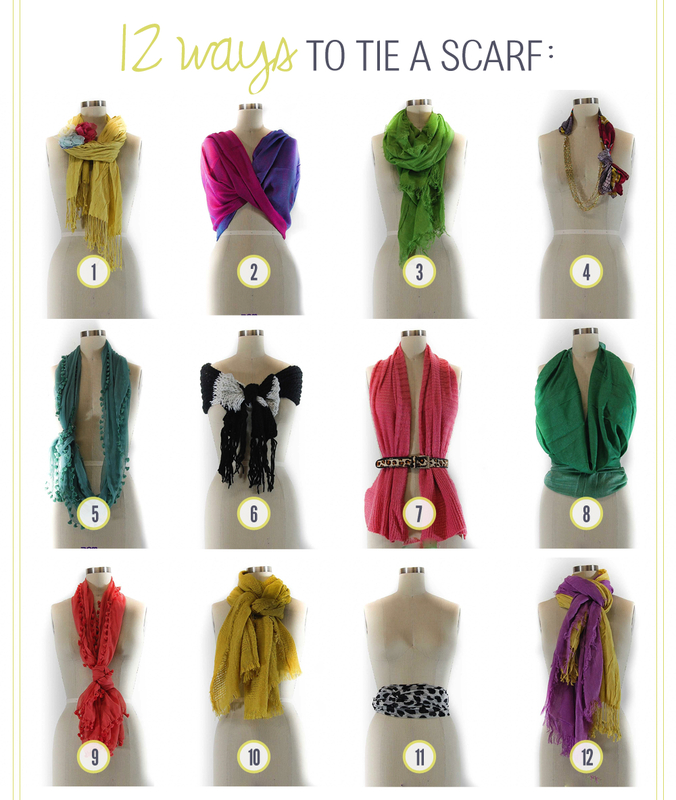 I came across this image on the website scarves.net showing 12 different ways you can tie your scarf. Although the image below shows various scarves in heavy knits and lightweights, the techniques can also be used for the traditional pashmina. There are so many options in how to wear your scarf and make it look new and very stylish every time. In a variety of colours and patterns this is an item you should have to make those subtle changes. It looks great any time of year.